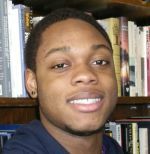 Ken Chiedozie Egu is a first year student at the University of Washington. His major is still to be determined but he is looking at design as a possibility. Ken was born in Owerri, Nigeria but was raised in Concord, California in a family of four. He plays football and runs track as well at the University of Washington, Seattle.